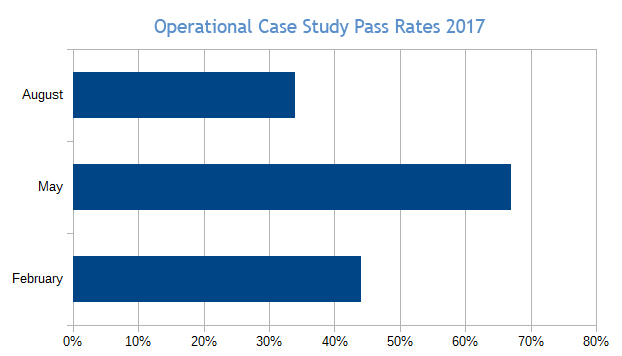 CIMA Operational Level - E1 - F1 - P1 - Case Study: How succesful have CIMA Operational students been in 2017? How succesful have CIMA Operational students been in 2017? One thing I know is that finding out how other students have handled exams is a great way to help you build your own tailored study plan. Statistics don't lie - if lots of other students struggle to pass an exam, the likelihood is you will also need to study extra hard for it. As you can see, E1 has been the most passed paper, with 75% of exams resulting in a pass grade. That's a pretty impressive figure. The pass rate for F1 is also pretty high, at 68%. P1, by contrast, received the lowest pass rate by quite some margin - just 45% of P1 exams from this year so far have resulted in a pass grade. It's a shame to see that so many students are struggling with P1! What can YOU do to make sure you don't fail P1 like so many others? Don't worry, I'll tell you - if you're finding this or any of the other operational OT subjects difficult, I you need to sign up for our Operational full courses. Packed with all the material you could possibly need to learn and revise the syllabus, our full courses guarantee you success. Find out more about our Operational Full Courses here. I also suggest anybody struggling with revision to make use of our Operational Disqus forum! Time and time again I speak to students who were only able to get their head around a concept AFTER speaking to one of our expert tutors. It really does make all the difference. Find our Operational Disqus Forum here. If you're wondering how the students have been faring with their Operational Case Studies, don't worry, we have a graph for that too! As you can see, the pass rate in May was the highest - with 67% of students succeeding in this sitting. February came in second place, with just under half of all students achieving a 'pass' grade (44% to be exact), while the August sitting headed the worst results of the year so far, with just 34% of students passing! It's disappointing to see this drop in student performance in August. 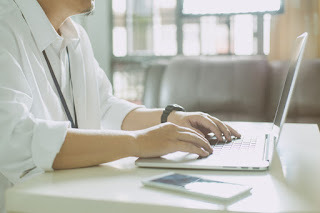 There are a whole range of reasons why performance can fall, from a particularly difficult paper or tricky pre-seen, to general student motivation being low due to the time of year, to the number of re-takes being down in this particular sitting. Whatever the case, we're really hoping to see a more positive result in November. So, what has your experience of the Operational exams been this year, and what do you think could have contributed to some of the poorer results? We'd love to hear about your experience - please contact us via our Disqus forums or on social media! 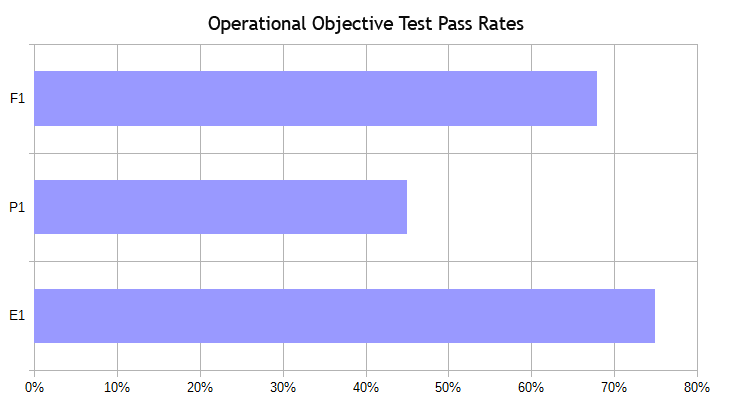 So, there you have it, CIMA students' Operational-level performance so far this year. I hope this has been informative and helpful! Head over to our website now to explore our full range of study material. Also, if you haven't already, don't forget to follow us on Twitter and like us on Facebook for more great study advice.